Mid-Week Beat: Is Radio Still Relevant in the Digital Age? This week on the Mid-Week Beat we stray away from our usual format of featuring bands and shows to focus on radio, and more specifically Low Power FM. Radio is an important medium that is just as relevant and useful to independent musicians as it is to community groups and non-profits, even in the age of the Internet. Today, on World Radio Day, we feel it’s important to talk about some exciting developments for independent, community-based radio and to encourage all of you to support the independent radio stations in your own community. Happy World Radio Day everyone! Every musician wants to connect with their audiences and, in the past, radio airplay has been the key to achieving that. I know some of you can remember the excitement of when you heard your favorite song come on the radio or, if your a musician, the first time you heard your own music on the radio. Younger musicians like Macklemore and Ryan Lewis, have made it clear that the walls of the old school music industry are crumbling in favor of D.I.Y. online solutions, but does that mean that the power of radio has diminished? 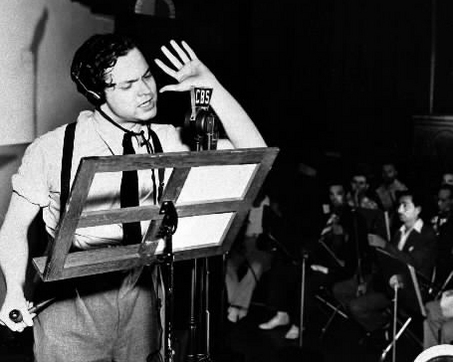 No one who listened to Orson Welles’ famous radio play, “War of the Worlds” would have questioned the importance of radio. The realistic “theatre of the mind” made people of that day pack their bags, call the police and go into basic panic mode, because what you create in your mind can be even more powerful than anything that you see or read. Surely, radio as a medium would remain important to artists who’s work can primarily be appreciated and shared through the sense of sound… at least, as long as audiences were still tuning in. But in the digital age, has radio outlived its relevance? According to the United Nations, radio remains the medium that reaches the widest audience worldwide, and radio is able to connect better with communities regardless of economics or education levels. Radio can reach listeners who are engaged in other activities and tell stories in a way that resonates in a different way than other forms of media are able to. This is just as true in the world’s largest cities as it is in places without a digital communications infrastructure. Tags: D.I.Y., Doer, Doers, Hollow Earth Radio, low power radio, LPFM, LPFM Toolkit, Macklemore, musicians, Not-Just-For-Proft, Off Tempo, OneAmerica, Orson Welles, Pew Research Center, radio, UNESCO, united nations, University of Washington Bothell, War of the Worlds, World Radio Day.